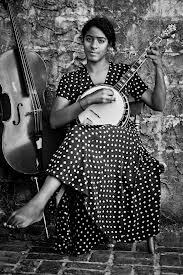 Earlier this year, Leyla McCalla, a blues cellist (and multi-instrumentalist) and singer released Vari-Colored Songs, an album dedicated to the poetry of Langston Hughes. Today at the tail end of National Poetry Month, I’m telling you that she is among the greatest musicians we have. Below the sound file I’ve provided, I’ve copied the Langston Hughes text so you can read along. Along with my basic message to you to check her music out on her album and on YouTube and on tour, the interpretation she makes of Hughes’ text serves as explanation of why James Cone‘s The Cross and the Lynching Tree is on my reading list for the second half of 2014.